The officials demanded that Chief Minister K. Chandrasekhar Rao initiate stringent action against the errant MLA. 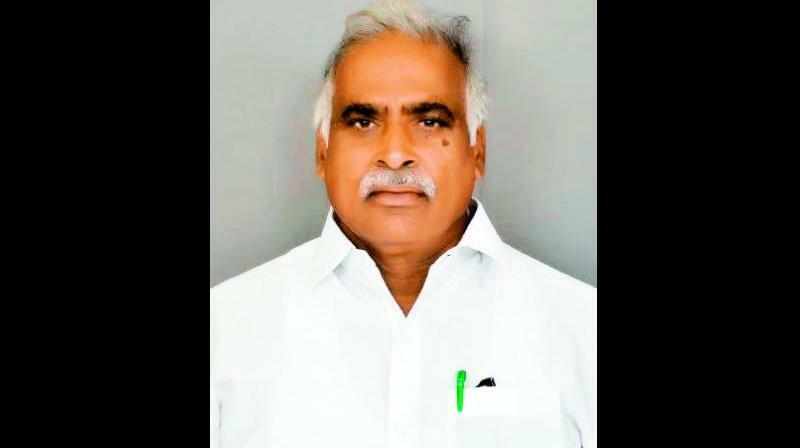 Hyderabad: Excise officials are up in arms against TRS MLA Koneru Konappa, who allegedly abused women excise circle inspector Mangamma, in Sirpur Khagaznagar, when she obstructed a lorry carrying black jaggery recently. The excise officials on Sunday held an emergency meeting on the issue. The meeting took a serious view of the MLA’s alleged harsh behaviour towards a lady officer and prevented her from discharging her duties. The Excise Gazetted Officers’ Association strongly condemned the action of the MLA. Excise NGOs Association president Ravinder Rao demanded that Mr Konappa should tender unconditional apology to women CI immediately. “If will wait for two or three days for the MLA to respond and tender apology to women official. If he fails to do so, we will intensify our agitation,” the association president warned. The excise staff has also decided to complain against MLA with Chief Minister K.Chandrasekhar Rao and Chief Secretary S.K. Joshi. They have also decided to attend duties by wearing black badges as a mark of protest.